Unite, promote, recognise and foster the development of women in the building and construction industry. The purpose of Women in Building & Associated Services (WIBAS) is to provide an environment where women can network with their colleagues, exchange ideas and experiences that will support and mentor the other women, whilst obtaining relevant, specialist industry specific information. The group was initially created to represent women who work in the building industry or a related service to the industry. WIBAS is supported by the Master Builders Association, the leader in Australia’s Building and Construction Industry for housing, commercial and infrastructure projects for over 130 years. 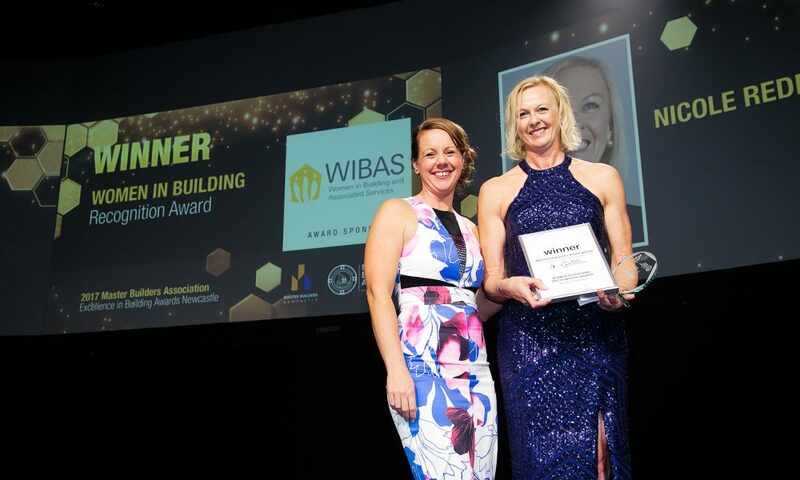 The Master Builders recognises and supports the enormous contribution women make to the building and construction industry and provides ongoing professional development through the WIBAS Forums. WIBAS Membership allows you access to network with a range of women from the same industry as yourself, as well as providing up-to-date information about the current happenings within the building industry. The Women in Building Recognition Award recognises women who have made a positive impact in the industry. The Award was established in 2007 by the Women in Building Group, and the Award is presented each year at the Master Builders Excellence in Building Awards. Do you feel as though you’ve made a positive impact for the construction industry? Are you associated with any committees, boards or groups within the construction industry or an associated service? Have you made a personal contribution to the community or are you involved in any community programs which relate to the building and construction industry? If you can answer ‘yes’, to any of the above criteria, you could be the person we’re looking for! WIBAS host business Forums every three months. Women within the industry can add value to their businesses by attending the Forums and keeping up to date with all levels of the industry. Women attending the Forums come from a broad range of businesses, including building companies, kitchen manufacturers, plumbing supplies, bricklaying, concreting, plastering, and landscaping. There are also women from associated services to the building industry within the WIBAS group such as Solicitors, Accountants and Local Council and Authority representatives.